HICKS, JOHN, land agent and office-holder; b. 23 April 1715 at Portsmouth, Rhode Island, son of Thomas Hicks and Ann Clarke; m. 8 May 1740 Elizabeth Russell at Tiverton, Rhode Island; d. 6 March 1790 at Hicks’ Ferry (Bridgetown, N. S.). John Hicks was born into an influential and prosperous Quaker family in Rhode Island. His father, a descendant of one of the Pilgrim Fathers, had amassed a considerable estate in Portsmouth, and his maternal grandfather had held high government office in the colony. After his marriage in 1740 Hicks settled in King’s County, where he farmed and was soon made a justice of the peace for Charlestown. It was therefore as a man of considerable influence that he travelled to Nova Scotia in April 1759 to represent the citizens of the Rhode Island and Providence Plantations who were interested in settling in the province. The previous October the governor of Nova Scotia, Charles Lawrence*, had published a proclamation in the Boston-Gazette informing the people of New England that the time was ripe for the settlement and cultivation not only of the lands made vacant by the expulsion of the Acadians but of other parts of “this valuable province” as well. His proclamation had created immediate interest, particularly in Rhode Island and Connecticut where a rapid increase in population was making agricultural land scarce. Hicks sailed to Halifax with Robert Denison*, Jonathan Harris, Joseph Otis, and Amos Fuller, all agents from Connecticut. On 18 April they met with Lawrence and four of his councillors at the governor’s home. Agreement was quickly achieved on settlement terms, and the agents were taken at government expense in the armed snow Halifax to view the proposed lands. The surveyor general, Charles Morris, accompanied them to aid in the choice of township sites. Rounding Yarmouth, they sailed into the Bay of Fundy, examined the lands along the Annapolis River, and proceeded to Minas Basin. The agents returned to Halifax so well pleased that Denison, Harris, and Otis immediately entered into an agreement with the Council for settlement of the townships of Horton and Cornwallis to the west of Minas Basin. They then returned to New England, but Hicks and Fuller stayed on to present their own plan of action. They chose the site of a former Acadian settlement on the north bank of the Pisiquid (Avon) River opposite Fort Edward (Windsor), where they proposed to bring 100 families, 50 in 1759 and 50 in 1760. On 21 July they were granted 50,000 acres to form the township of Falmouth. Before the grant was made, however, word had reached Halifax that a large party of French and Indians had appeared before Fort Edward. Although no engagement had taken place there, violence had been reported in other parts of the province. Hicks informed the Council on 16 July that in his opinion the settlers would prefer to come the following year. The Rhode Island planters arrived at Falmouth in four ships in May 1760. Hicks and his family were among them. Township records show that Hicks played a prominent role in the new community. Not only was he given responsibility for providing housing “for the soldiers to live in while we need them in the village,” but he was also appointed a justice of the peace for the township and served on its first grand jury. In 1765 Hicks moved to lands he had purchased along the Annapolis River in Granville Township. On the resignation of Henry Munro he was elected in July 1768 to the House of Assembly for Granville. He took his seat on 31 October and served until the general election of 1770. In 1772 he moved across the river to Annapolis Township, where he purchased and improved extensive lands. He established a ferry linking the two townships and the community that grew up around it was called Hicks’ Ferry until the name was changed to Bridgetown in 1824. 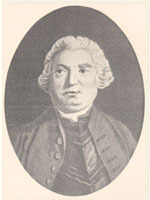 Hicks died there in 1790 and was survived by six of his 11 children. Three of his sons appear in the Capitation Tax Act returns of 1794, and their rates show them to have been among the wealthiest residents of Annapolis Township. John Hicks was representative of the planters who gave a distinctive New England character to the Annapolis valley. Although the Board of Trade eventually supported Lawrence’s promotion of settlement from New England, they had originally wanted these lands reserved for disbanded soldiers. 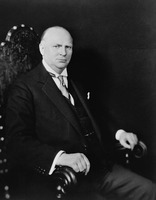 The enthusiasm of Hicks and his energy in arranging the Rhode Island immigration were essential contributions to the success of the governor’s policy. PANS, MG 9, no.109; RG 1, 211, 12 Oct. 1758, 18 April, 18–19 May, 16 July 1759. Ancestry of Jeremy Clarke of Rhode Island and Dungan genealogy, comp. A. R. Justice (Philadelphia, ), 53. Directory of N.S. MLAs, 158. Calnek, History of Annapolis (Savary), 332, 526–27. W. E. Chute, A genealogy and history of the Chute family in America . . . (Salem, Mass., 1894), ci-cii. E. R. Coward, Bridgetown, Nova Scotia: its history to 1900 ([Kentville, N.S., 1955]), 25–26. J. V. Duncanson, Falmouth – a New England township in Nova Scotia, 1760–1965 (Windsor, Ont., 1965), 11–22, 267–68. A. W. H. Eaton, The history of Kings County, Nova Scotia . . . (Salem, Mass., 1910), 58–69. H. Y. Hind, Sketch of the old parish burying ground of Windsor, Nova Scotia . . . (Windsor, 1889), 7, 46–50. W. C. Milner, Grand Pre; a chapter in colonial history (Wolfville, N.S., n.d.), 11–14, 20. Murdoch, History of N.S., II, 364–65, 476. R. S. Longley, “The coming of the New England planters to the Annapolis valley,” N.S. Hist. Soc., Coll., XXXIII (1961), 81–101. F. H. Hicks, “HICKS, JOHN,” in Dictionary of Canadian Biography, vol. 4, University of Toronto/Université Laval, 2003–, accessed April 20, 2019, http://www.biographi.ca/en/bio/hicks_john_4E.html.